Mexico is one of the most popular medical tourist destinations for patients from all around the world. It features some of the most up-to-date and technologically advanced facilities worldwide. Offering dedicated medical teams, affordable prices and top notch medical care, Mexico is standing out as an excellent place for international patients from all over the Globe. Austria has become a destination for medical tourists for numerous reasons. More and more of medical researches conducted by Austrian specialists are being highly assessed by their foreign colleagues, the treatments are being performed in top notch medical facilities, by internationally renowned medical specialists and at affordable costs thus making Austria an ideal medical destination for international patients. German health care has always been renowned for its high quality, and medical tourism in Germany is booming. With top notch clinics, dedicated medical teams, cutting edge technology and affordable prices, Germany is a top options for patients from all around the world. The Anti-Aging medicine aims at reversing or slowing down the process of aging in order to extend the maximum and average lifespan. Ukraine has become a destination for medical tourists for several reasons. More and more of medical researches conducted by Ukrainian medical specialists are being highly assessed by their foreign colleagues from all around the world, the treatments are being performed in flawless medical facilities, by internationally renowned doctors and at a reasonable cost thus making Ukraine a medical destination for international patients. Mexico has become a favored medical tourism destination where international patients travel to, searching for specialized and pocket-friendly medical treatments. Offering high-quality healthcare facilities and medical care, world-class treatment packages and cutting-edge technology, Mexico has a lot to offer to medical tourists. Autism affects information processing within the brain by changing the way nerve cells are connected and it can occur in all families, regardless of social background, race and ethnicity. Mexico has become a favored destination for medical tourists worldwide. 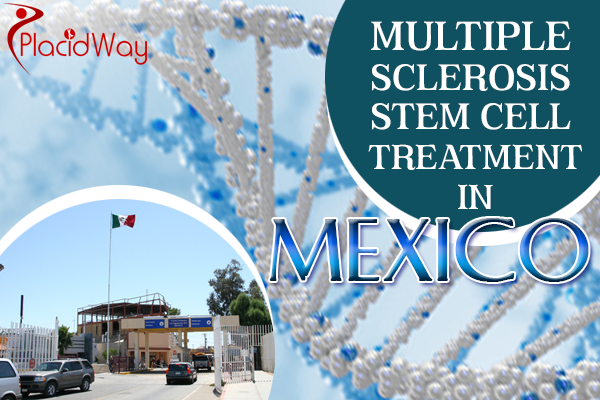 Numerous medical researches conducted by Mexican specialists are being highly assessed by their foreign colleagues. The treatments are being performed in world-class medical facilities, by internationally renowned doctors and at a pocket-friendly pricing thus making Mexico an ideal medical destination for international patients. Diabetes is a metabolic disease distinguished by high blood sugar, either because the patient’s body is not producing enough insulin or because the cells are not responding to the insulin that is produced. Stem cell therapy for Diabetes is a treatment protocol that is based on the unique self-differentiation and replication ability of the stem cells so as to repair the damaged pancreatic islet function. German medical care has always been renowned for its top quality, and medical tourism in Germany is growing. With flawless clinics, highly experienced medical teams, modern technology and affordable costs, Germany is a top option for patients from all over the world. Infertility is the inability of a person to reproduce by natural means. The most common cause of Female Infertility is adulatory problems which generally manifest themselves by sparse or absent menstrual periods. Medical tourists go to Ukraine to enjoy affordable, yet highly professional medical treatment. Regarding medical standards, the country is renowned for its flawless healthcare system, medical centers, complete facilities, top notch clinics and dedicated doctors. After trying for a while with no results, many couples decide to undergo fertility workups and physical exams. Establishing itself as a top destination for medical tourism, Mexico is an attractive option for health care not only for the quality of medical services but also for the wide range of destinations and internationally accredited hospitals and clinics. Stem cells have the ability to do the “re-myelination” of nervous system, therefore improving symptoms and prolonging lives. Austria is a flawless destination for medical tourists for plenty of reasons. More and more of medical researches conducted by Austrian medical specialists are being highly assessed by their foreign colleagues, the treatments are being performed in world-class medical centers, by highly trained medical professionals and at affordable prices, therefore making Austria an ideal medical destination for patients from all around the world. Medical tourism in China continues to rapidly grow. The country offers affordable prices, cutting edge technology, high-tech hospitals flawless services, dedicated doctors, and high standards of healthcare. Muscular dystrophy is a disease in which the body fails to produce enough protein to help muscle development. Germany has an excellent reputation for treating a growing number of patients from all around the world. The country has one of the most innovative, modern and flawless health systems on the Globe. Muscular dystrophy is a group of non-inflammatory diseases with a slow progression, without noisy manifestations. It can affect a muscle or group of muscles by damaging neuromuscular transmission (transmission between nerves and muscles). 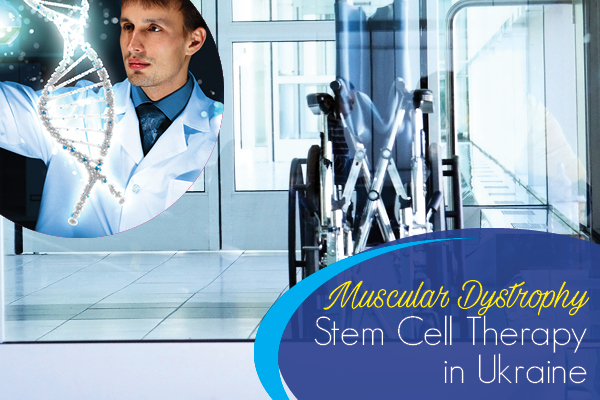 Recent research using stem cells for MD patients show that a reduced muscle waste and even some regression in the main symptoms of the disease can be achieved. India features top hospitals, clinics and research centers where patients are offered world-class medical procedures and treatments at affordable prices. The number of tourists who travel to India for medical purposes is constantly growing. Muscular dystrophy is part of neuromuscular disorders and represents a group of muscle diseases that are progressive, non-inflammatory, without a central or peripheral nerve pathology. South Korea is on the cutting edge of technological updates in medicine and health care. Featuring excellent and highly skilled physicians, affordable prices, modern technology and some of the most advanced healthcare facilities worldwide, South Korea is a top destination for medical treatments and procedures. Ukraine has become an ideal place for medical tourists for a multiple reasons. A growing number of medical researches conducted by Ukrainian medical specialists are being highly assessed by their foreign colleagues, the treatments are being performed in top notch medical facilities, by dedicated doctors and at an affordable price, thus making Ukraine a medical destination for international patients. There is no known cure for arthritis. Treatments vary depending on the type of arthritis and can include physical therapy, lifestyle changes and medications. Parkinson’s disease is a neuromuscular condition that affects millions of people around the world. Uncontrollable movement of the body muscles along with strong shaking and trembling of extremities are the more visible characteristics of Parkinson’s. Parkinson’s is a neurodegenerative condition, which will worsen in time and of course will cause an extreme modification of the individual’s life due to the mobility issues and the loss of the ability to walk.